The popularity of Indian wellness practices like Ayurveda and Yoga continues to grow globally. While traditional Ayurvedic practices like Panchakarma and Yoga Teacher Training programs are gaining popularity, there has been an increase in the number of Ayurvedic centres and Yoga schools mushrooming in cities across the world. The 5,000 year old science of healing, Ayurveda, found its roots in Kerala. With a focus on prevention through the use of natural herbs, oils and massages, diet and lifestyle that is customised according to one’s doshas (vata, pitta and kapha), the demand for natural healing therapies is increasing. The south Indian state today offers a large number of exceptional, government-approved wellness centres/retreats, healing centres and yoga schools, for visitors, both national and international. However, the demand needs to be further facilitated with more residential and non-residential Ayurvedic centres especially in Tier 1 and Tier 2 metro cities across the country. The 2013 Global Spa & Wellness Economy Monitor reported that 586.5 million (international and domestic) wellness trips were taken in 2013 globally, contributing $494.1million in wellness tourism expenditures. India stands at number 12 in the Top 20 Wellness Tourism Markets (2013) with 32.7 million trips and $9.2 million in tourism expenditures, while the nation ranks first for growth in wellness trips, driven by increasing interest for Ayurveda, Yoga, Meditation as well as the active marketing efforts set forth by the Ministry of Tourism. 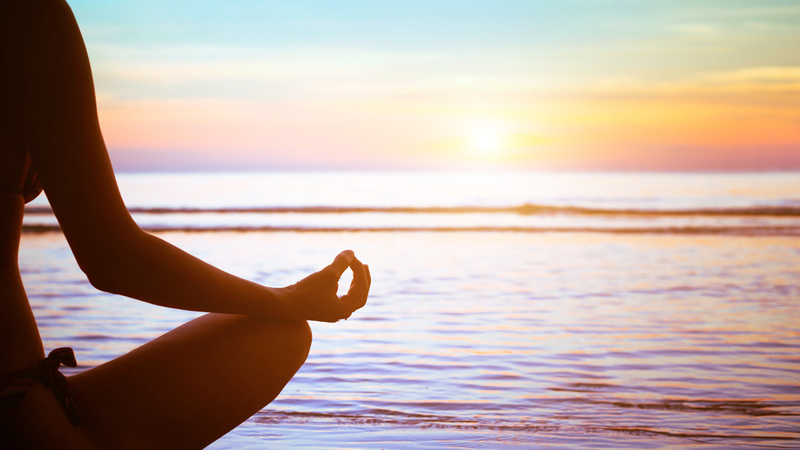 The wellness tourism market includes primary and secondary wellness tourists. While the primary wellness traveler’s sole purpose of the trip and destination choice is wellness, a secondary wellness traveler participates in some wellness experience like rejuvenation and de-stress, during their trip. With the emergence of Spas in most resort properties, secondary wellness has already established itself a niche while primary wellness continues to see an exceptional growth. In Kerala alone, centres like Kottakkal, Kairali, Santhigiri among others, boasting of state-of-the-art facilities, offer ailment management therapies for issues like paralysis, arthritis, diabetes or obesity as well as detoxifying regimens for conditions like motor neuron diseases, and various forms of cancer. The success of Patanjali, with its affordable, all-natural products and its brand association with Baba Ramdev(a veteran of yoga) has managed to reach a larger cross-section of the population, and highlights the growing number of people looking for natural therapies in the country. While the market for Ayurvedic products has been sufficiently tapped, there still is shortage in supply of residential and non-residential Ayurvedic centres. Currently the wellness market in India is largely operated by spa owners, Ayurvedic Doctors or Yoga teachers who may have the wellness know-how but lack the expertise of running a business as well as sufficient funding to expand their offering to the right customers. Lack of a better classification and a more effective rating-system for wellness centres are also crucial components to draw in more wellness customers. Some of the levers that are critical to ensure growth in this sector include scaling up of business with more organised players. Franchising is a common option, but to ensure quality is maintained and there is no brand dilution, businesses must explore more hybrid models. One such successful model has been set by Shathayu Ayurveda Wellness Centre, a 112-year old global Ayurvedic brand that offers unique concepts with no direct competitors. Today the brand has established 16 clinics in Bangalore, Hyderabad and Pune as well as in international cities like Texas, USA and Perth, Australia.The brand is expected to launch its first Ayurveda resort in the near future. Other well-known reputed brands like Kairali Ayurveda currently operate 11 international and 16 regional wellness centres with franchise models across various budgets and center types (residential and non-residential). Currently, the wellness sector has a limited number of players with a sizeable operations (i.e. revenues of over INR 0.5-1 billion), due to fewer number of organised players. With more players, the segment is expected to generate more investment opportunities as businesses scale up their operations and look for funds to drive their expansion plans. Brand awareness and trust is another crucial element. With so many players in the market there is a constant concern about choosing the right wellness centres. It is essential for centres to look at various initiatives to improve customer awareness regarding the benefits of their wellness programs with active engagement and feedback. The National Accreditation Board for Hospitals & Health Care Providers (NABH) has set up an accreditation process for all Ayurvedic centers and Yoga schools in the country. This has resulted in positive news from health insurance companies, who now provide up to 25 per cent insurance coverage for treatments from NABH-accredited hospitals or healing centres only. The insurance coverage also gives impetus for growth in the domestic wellness market. Millions of tourists from US, UK, Australia, UAE visit India for Ayurveda and Yoga alone. It is expected that the number of medical tourists globally will reach 5 million by 2016. Authentic, quality treatment at lower costs have continued to attract wellness enthusiasts from across the globe for various ailment management therapy, beauty care and detoxification programs for a healthier lifestyle. The buck does not stop with Ayurveda, Yoga and Meditation as the country also has other less-popular but effective therapies Siddha, Kalari and MarmaChikitsa, etc which promise to open more growth avenues. Vijaykumar Karai is the Founder & CEO of AyurUniverse, the world’s first e-commerce company focusing on Indian Wellness Tourism. Karai is a highly accomplished business professional with over 25 years of diverse corporate experience in India, Sri Lanka and USA of which 10 years’ experience has been as CEO of various companies. He has a strong Sales and Marketing background having worked for brands like Coca Cola, Pepsi, Thums Up, Bisleri, Jones Tea (Sri Lanka), Rosenbauer (Austra), etc. However, it was his experience as the CEO and co-investor of an Ayurvedic Spa in Mysore, India (which he turned the sick company around in just 8 months) that opened him up to the immense opportunity that Wellness Tourism offers and motivated him to quit corporate life to pursue his dream to market Indian Wellness to the International Market. ‘Not enough protective wellness products for kid..